Can link one area of a garden to another or alternatively can create a natural barrier dividing the garden into separate areas, they can also be incorporated into ponds and waterfalls. 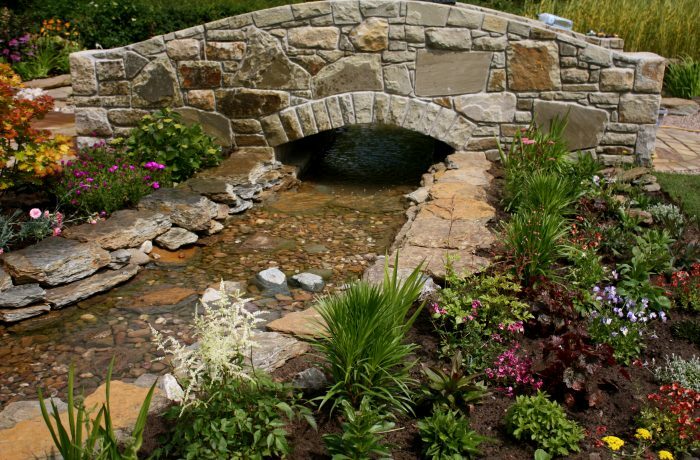 Bridges and jettys can also be incorporated to add interest, focal points and obviously as a means to cross the stream. Streams can be straight, meandering, shallow, deep whatever you like can be incorporated.